Speedboard Assembly Services helps JENOPTIK Traffic Solutions UK serve its markets through innovative and responsive production processes and efficient supply chain management. 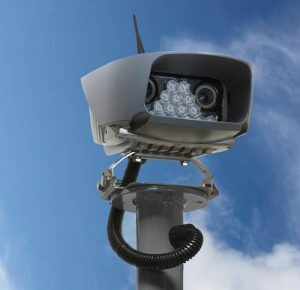 Formerly known as Vysionics and based in Frimley, Surrey, Jenoptik is a world-leading OEM of cameras for Automatic Number Plate Recognition (ANPR) and its products are renowned for their ability to work in harsh environments and in a variety of lighting conditions. Typically located in hard-to-access places, such as on the tops of poles and on motorway gantries, the units are exposed to all the elements. Collins goes on to say that product reliability is achieved through a combination of good design, well controlled assembly and rigorous testing. Of these three elements, assembly and test are the responsibility of Windsor-based CEM Speedboard Assembly Services. For those early camera units, Speedboard assembled, tested and supplied Printed Circuit Board Assemblies (PCBAs) in sets to Jenoptik, which performed the final assembly and unit test in Frimley. The boards were assembled on a build-to-order basis and product shipment rates were averaging about 10 per month, but with significant peaks and troughs month-on-month. In 2013, a new product, called VECTOR, was launched. It is a highly integrated digital unit (again containing a grey-scale ANPR camera and a wide angle colour camera) and is available with a range of lens options. VECTOR’s electronics includes flash memory for embedded firmware and software updates. The unit also supports a variety of communications protocols thus enabling not only application-specific configuration, as the final build step, but also in-field upgrades. During the development of VECTOR, Speedboard assisted with the design-for-test and design-for-manufacture aspects of the PCBAs. Also, because the VECTOR camera unit is far more complex than its predecessor, Jenoptik had to choose between either gearing up for more complex final assembly work in-house or outsourcing the box build. importance, its willingness to be flexible in light of potentially even greater peaks and troughs in the monthly orders. Jenoptik also required, and continues to need, very short-lead times (1 to 2 weeks) as the product variants ordered by its customers tend not to be known until the last minute; noting here that a traditional build-to-order scenario would normally require between 16 and 20 weeks for component sourcing, build and test. Speedboard built a number of prototype PCBAs for VECTOR which Jenoptik used for final assembly trials and to document the processes. Speedboard then performed a number of final assembly pilot builds, during which much was learned and processes were honed. For instance, although final assembly could be performed by just one person, the complexity of the product and the levels of test and quality assurance required made it practical to employ a formal flow-line, a practice normally associated with higher volume production. It was initially projected that the average monthly build would be around 50 units per month, but that the month-on-month volume might vary up or down considerably. However, the flow-line Speedboard put in place can comfortably accommodate up to 300 VECTOR builds per month. Inside the fixed focal length VECTOR cameras there are five PCBAs, four of which Speedboard assembles and the fifth is bought in. To meet Jenoptik’s extremely short lead-time build-to-order requirements, Speedboard assembles VECTOR’s PCBAs, holds them in a Kanban system and then treats them as stock items. Assembled PCBA stock dipping below certain levels triggers the ordering of components and automatically schedules the manufacture of more boards. The entire process runs in the background to support the final assembly work. A final Go / No-go test is performed just before the camera unit is packaged with its user guide and accessories. As predicted, the orders for VECTOR were initially erratic following its launch and in light of a general upward trend, the average monthly build increased towards the end of 2014, round about the time Jenoptik acquired Vysionics. In early 2015, a motorised zoom camera joined the VECTOR family. Again, Speedboard supported the new product introduction with design-for-test and design-for-manufacture guidance. Accommodating the new cameras into the workflow presented no major problems, as sufficient pre-assembled PCBAs and components were always in stock.